Is there anything worse than that moment you look at the clock, realize guests are arriving in 10 minutes, and discovering you’ve forgotten to put the chardonnay on ice? Or the vodka in the freezer? Or the LaCroix in the fridge? No, the answer is no, there’s not. But that’s not a problem for you anymore. Welcome to ProntoBev, the world’s fastest beverage cooler, which is guaranteed to chill any drink in less than 30 seconds. 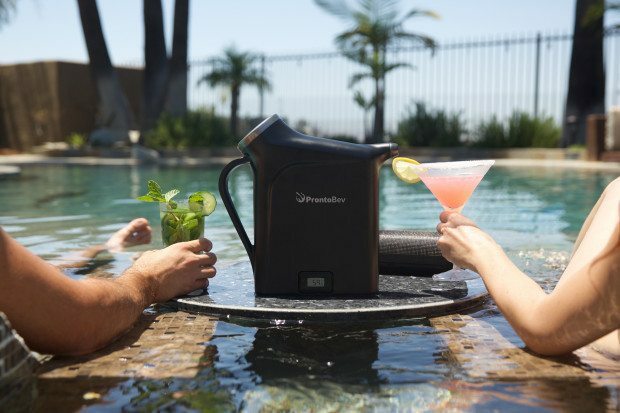 ProntoBev, an Indiegogo project that recently raised more than 200 percent of its fundraising goal, cools the temperature of your drink an incredible 40 times quicker than placing it in the freezer. That means that you’re no longer the person shoving the bottle of Pinot Grigio or Grey Goose in the ice bin 10 minutes before the doorbell rings. We all know that desperate trick never works anyway. But ProntoBev promises to get the job done. Here’s what you do: Pour that bottle into ProntoBev. Walk to the other side of your kitchen and back. Check the built-in thermometer to ensure it’s at the optimal temperature. Pour and enjoy an ice-cold drink. 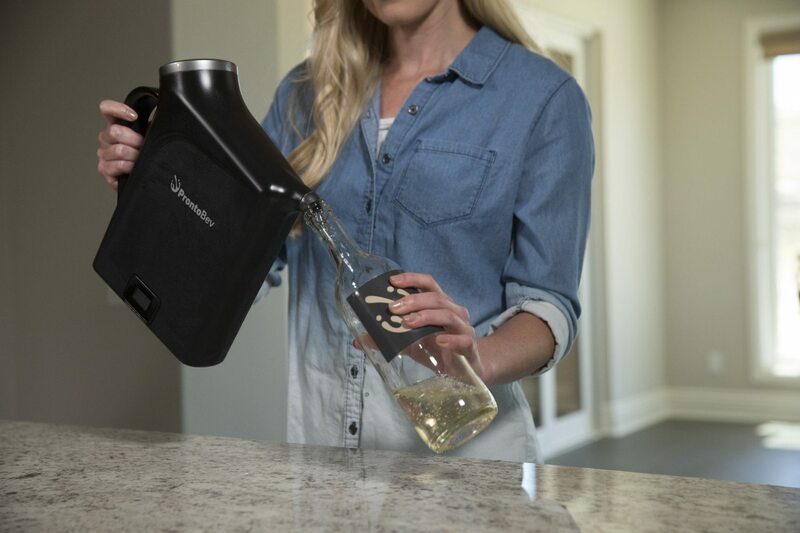 The small handheld beverage cooler easily fits an entire bottle of wine. Just store ProntoBev in your freezer and it’s ready anytime you want a frosty drink. Use it in the morning for iced coffee, in the evening for after-work cocktails and on the weekends for all those Sunday Fundays. ProntoBev uses proprietary ProntoGel and wine-grade stainless steel to get—and keep—drinks cold. It claims it can even bring beverages to sub-freezing temperatures, though the company warns that can affect the taste. 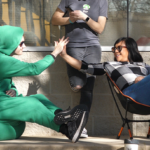 To date ProntoBev has raised $59,731 on Indiegogo. It’s available for pre-order for $99, and estimated to ship in June 2018. For $119 you can get the ProntoBev and ProntoAer, which claims to be the world’s fastest aerator. Take ProntoBev with you to the pool, beach, campsite, dog park, pack it in your suitcase or just use it for your normal Monday night “Real Housewives” binge. No matter where you use it, you will never suffer from the dreaded warm drink syndrome again. Cheers!